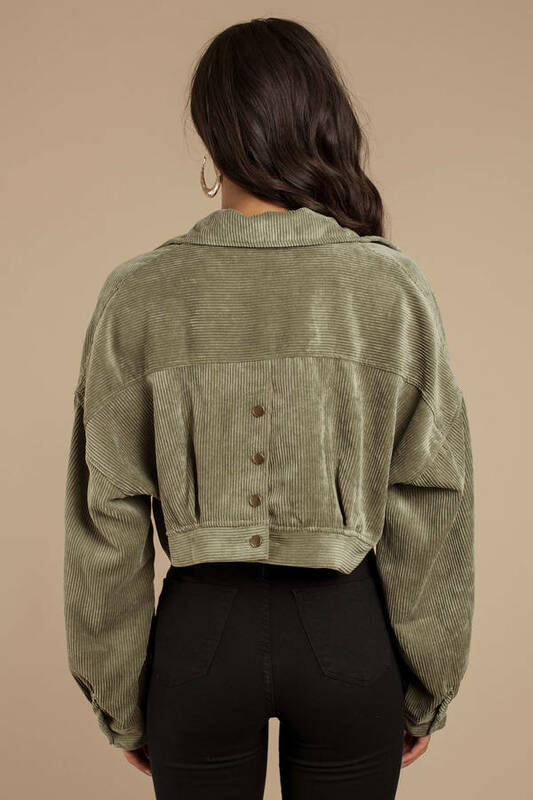 Check out Tobi's Heartbreaker Corduroy Cropped Jacket We'll keep this short and sweet: the Heartbreaker Olive Corduroy Cropped Jacket will totally break some hearts this fall. This cropped jacket features gorgeous corduroy, button details, two front pockets, and relaxed sleeves. Pair this collared cropped jacket with a bralette and high waisted faux leather pants. 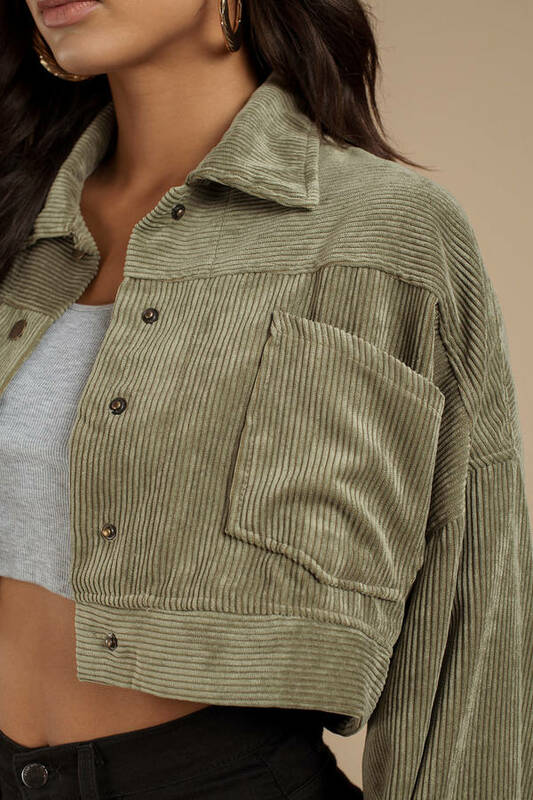 We'll keep this short and sweet: the Heartbreaker Olive Corduroy Cropped Jacket will totally break some hearts this fall. This cropped jacket features gorgeous corduroy, button details, two front pockets, and relaxed sleeves. Pair this collared cropped jacket with a bralette and high waisted faux leather pants.